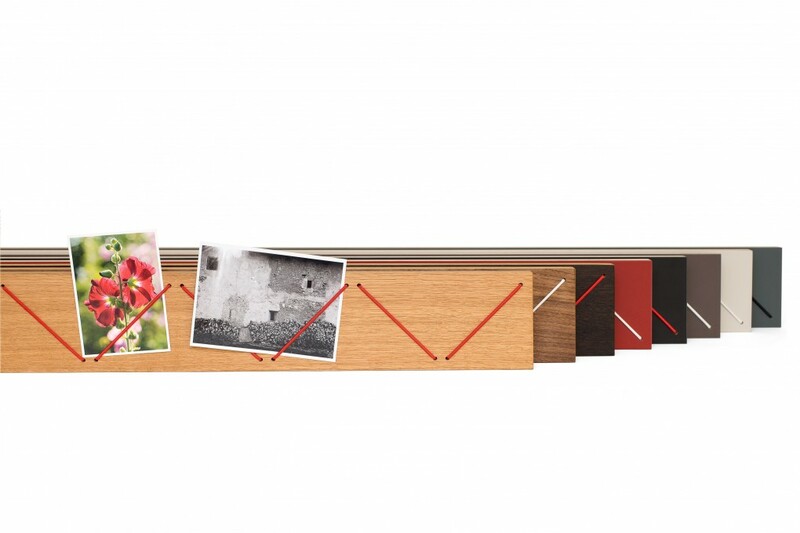 Are you looking for a plain and yet stylish way of displaying memories? 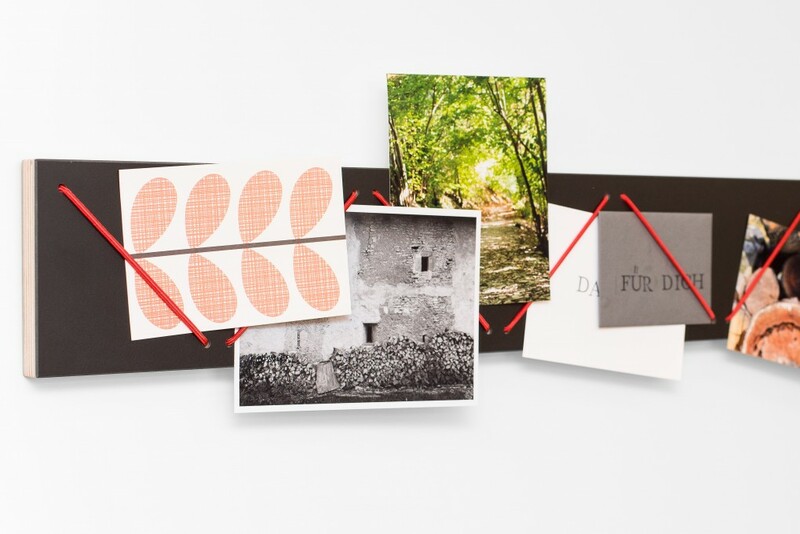 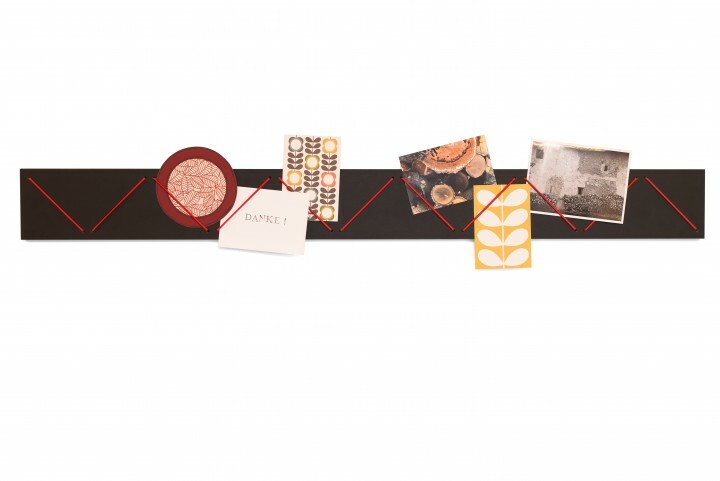 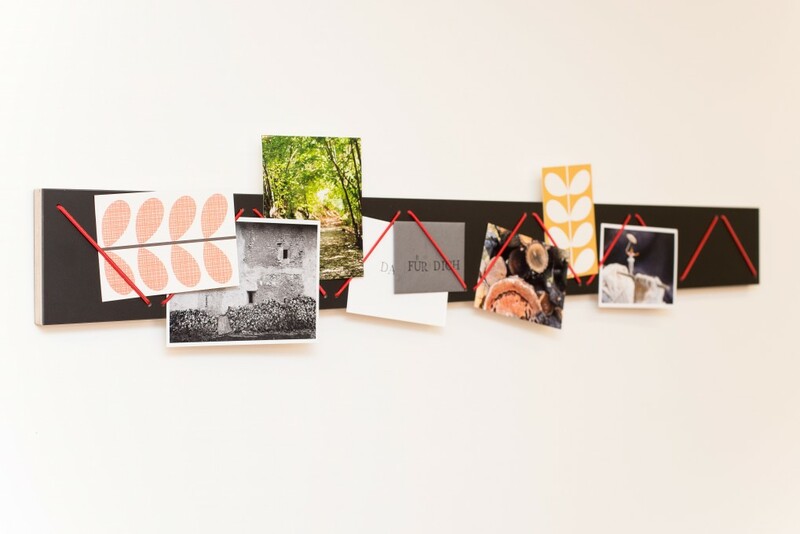 Just slip postcards or photos behind the elastic strings of our black picture rack. 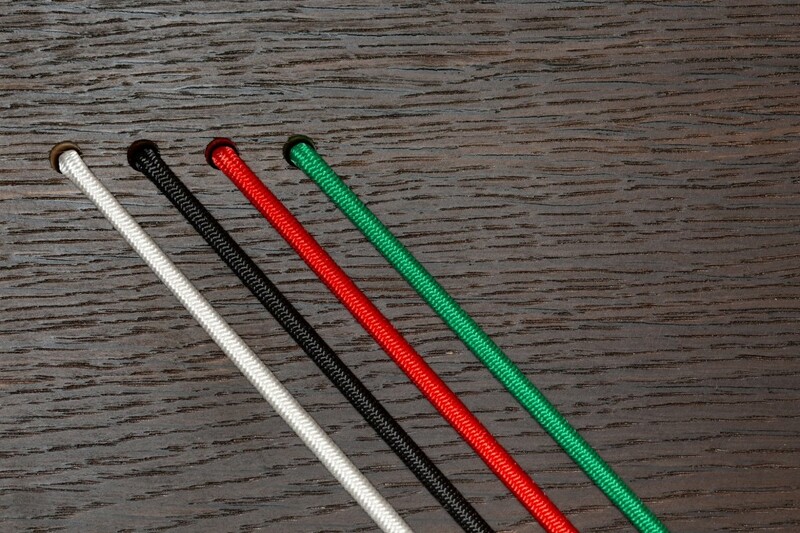 Elastic strings that come in a choice of red, green, white or black hold in place whatever you choose to display. 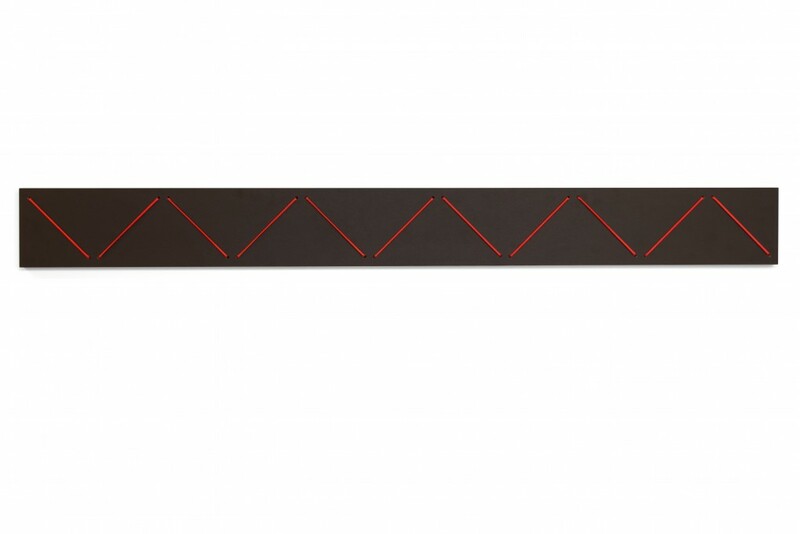 The bar is made from multiplex with a black linoleum surface (made from natural renewable raw materials such as linseed oil and rosin).